Plan your meals – Have options – and stock up on what you’ll need. One of our routines is to bake muffins and send home the leftovers for the next day. I always make sure I have the ingredients for this. I am prepared to cook spaghetti and meatballs or chicken nuggets with celery sticks and ranch dip. Ice cream – check. Cookies – check. Campbell’s Star Wars soup – check. Fresh fruit – check. Chocolate pudding – check. Yes, the kitchen is always open at grandma’s. 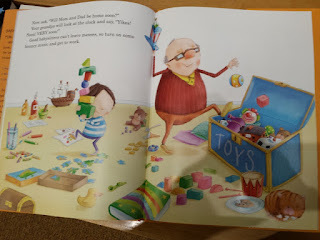 Books – I always keep some of my favorites at my house and we read our grandson’s choices among these. Yes, this is a changing library adapted for age and season. Plan activities - We may have a building or craft project, puzzles, outdoor activities such as a Crayola Grab and Go game or sidewalk chalk. Outings have included a simple visit to the park two blocks away and the American Museum of Natural History in New York. The dinosaurs!!!! 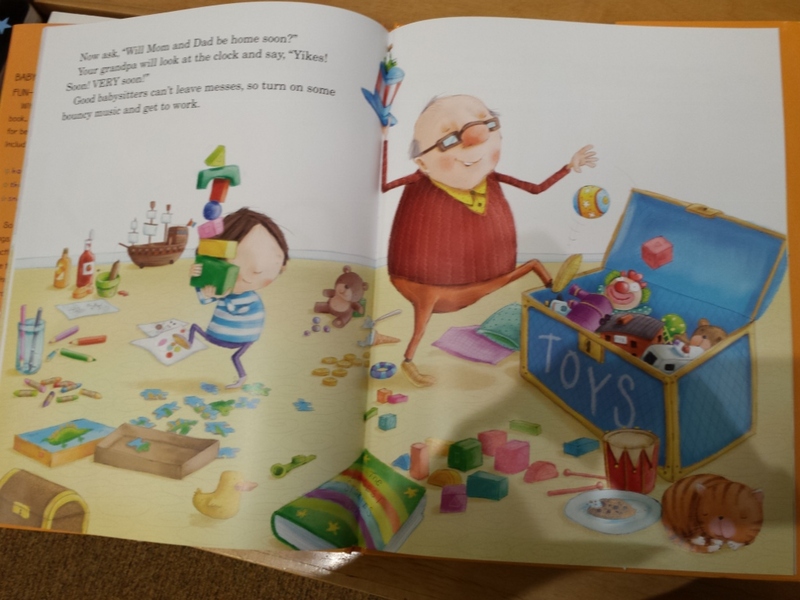 Be flexible – Young children need a break and so do you. You really don’t have to do everything you have planned. If they just want to play alone for a while take some time to relax so you’ll have energy a little later. If you have a big thing planned like going to the Museum of Natural History make sure it is a good day for the activity. 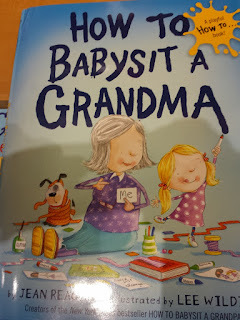 If your grandchild does not seem up to it, maybe another time would be better. Keep It Age Appropriate – Yes, kids get to do and eat things differently than when they are at home. But that doesn’t mean anything goes. My grandson is in first grade and one of the things that means is that some of his classmates get to see PG movies. That is off limits with his parents and so a request to see a movie that I know will not be allowed does not get an okay. 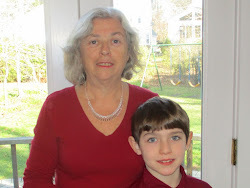 Make sure you are medically ready – I knew that my grandson had an inhaler and it was always in his bag when he visited. The first time he needed it and I took it out I almost panicked because it was in three parts and I didn’t immediately see how to put it together. Thankfully, my then 4 year old grandson said, “Give it to me Grandma, I can do it.” And thankfully he did. Nowadays, my closet has children’s Tylenol and a couple other children medications. Safety – Our home is child friendly but it is not childproof. When Zach was in preschool we had him sleep on an air mattress in our room, the door was kept closed and he was told to use the bathroom next to our bedroom. Next he slept in the room that was his Mom’s and because the hall bathroom is right next to the stairs, he used our bathroom if he got up during the night. Now we have enough confidence that such precautions are not necessary. Make sure you plan a safe environment for a sleepover. Your grandchild won't just be in the family room and kitchen. 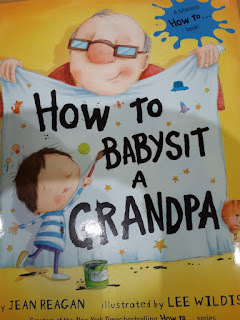 I was in Barnes and Noble today and looking for a book to bring to a baby shower. 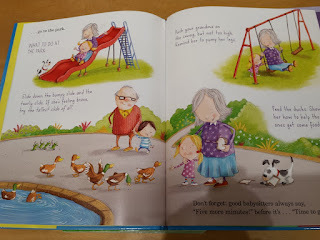 Catching my eye were three books about sleepovers with grandparents and as I looked through them I thought they were perfect. 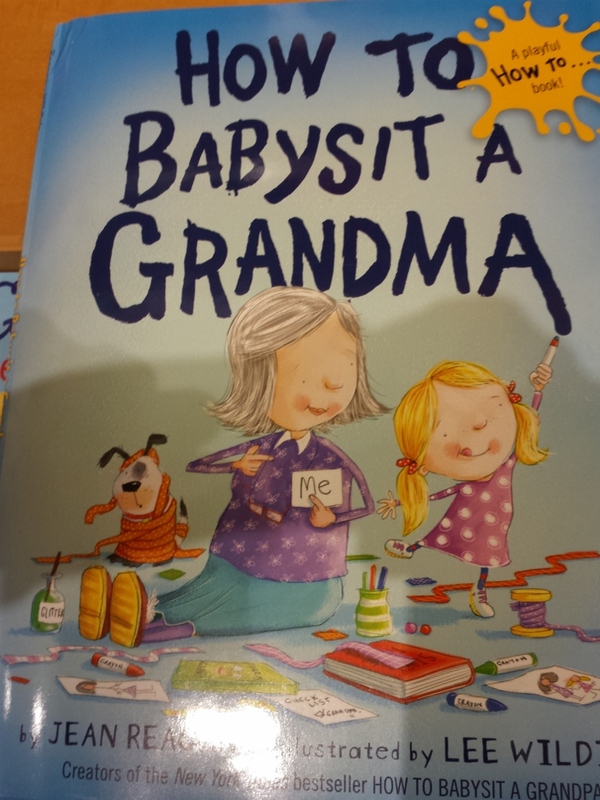 If you will be having a grandchild sleepover for the first time you may want to get one of these books. All of them are well illustrated and oh so true!. These are good books to keep at the grandparents’ house and read during the visit. All three of these books have 5 star customer ratings at Amazon with hundreds of reviews and they all are available in hardcover and kindle editions. So no matter what your reading "style, there is an edition for you. 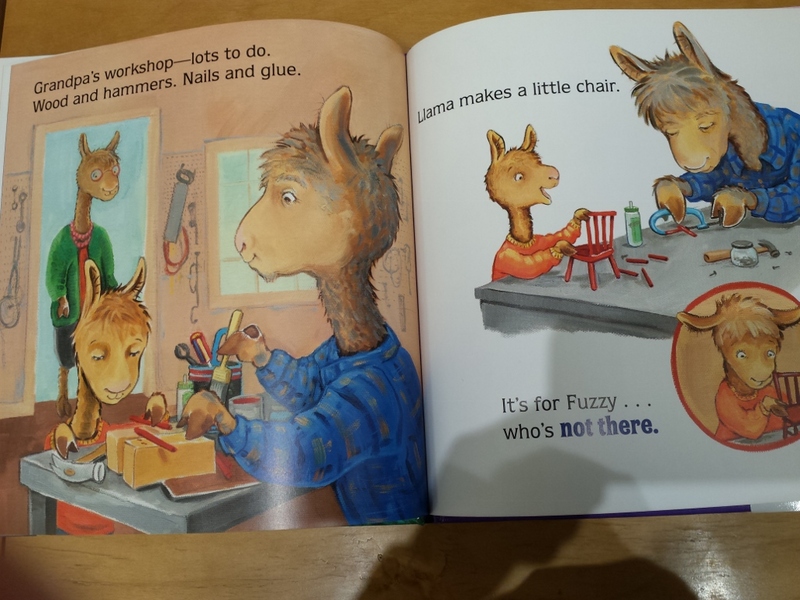 This book is written and illustrated with humor and truth. 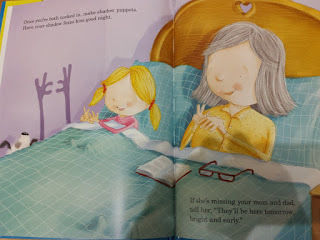 The grandma and granddaughter are just enjoying their time together and they have a loving relationship. Everything from the fun in the park to reading together in bed is realistic and will be comforting on sleepover visits. Don't forget the Grandpas! This book by the same author/illustrator is equally as good. And so us! This one features a grandson and his grandfather having a blast together. And for a book about both grandparents this book is one in the very popular (for good reason) Llama Llama series. 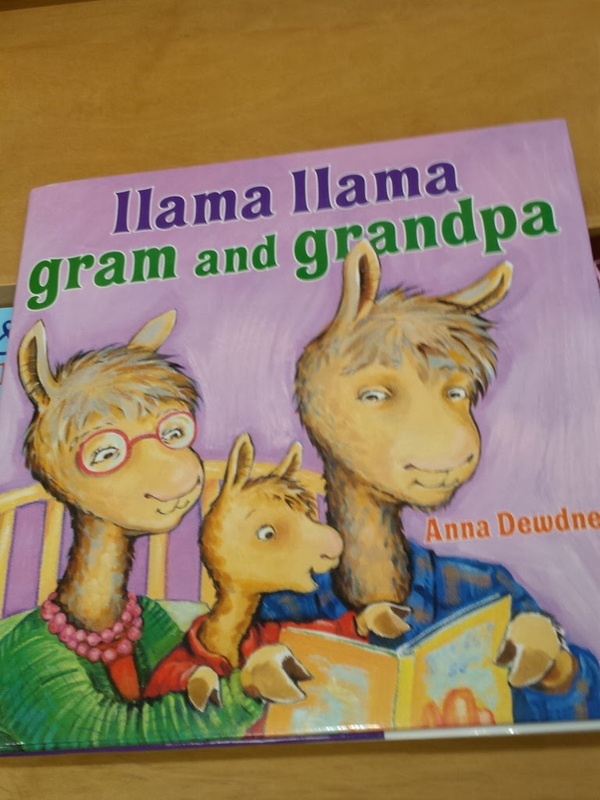 The little llama is on his first overnight visit with his grandparents and has forgotten his "fuzzy llama" which we all know can be very serious. 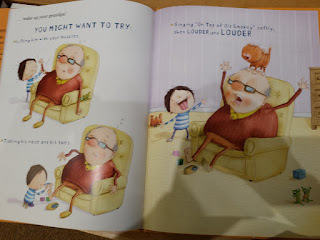 But his grandpa helps find a solution and it is a successful sleepover. This potential situation is one that every child, parent and grandparent can identify with. Like the other books, this one is wonderfully illustrated and will bring smiles to the faces of grandparents and grandchildren alike. What a cute book...and I love this post. I was smiling thru the whole thing.